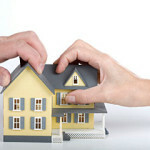 You are here: Home » Blog » Financial » Divide Assets » What to do about the Marital Home? A big issue in divorce proceedings is what to do about the marital home. Is it to be sold or does a spouse buy out the other one? Would one spouse be able to handle the upkeep, taxes and bond payments? A factor to consider is if the bond is already paid or will be by the time maintenance has runs its course. I have seen several people post-divorce who got the marital home and are living paycheck to paycheck. They are barely keeping their heads above water financially. Consider hiring your own financial adviser to see if buying your spouse out of his/her share is really feasible. Keep in mind that two 100k assets are not equal. An investment or money market account accrues interest and a house can appreciate in value or be in such a lovely setting, that ever selling it would be out of the question. If you are on the fence about what to do, consult with an estate agent regarding projected future trends in the housing market. You would have an idea if the property values are going down or up. 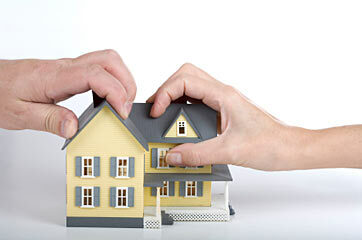 If your children and pets are happily residing in the marital home then it may be the better choice to hang on to it. If you like your neighbors and the amenities of your neighborhood, then that is another reason to stay put. When you are in a great public school location, you may not be able to find a home in the same district. It is not guaranteed that your kids could come back to their school the following year, if moving across town. It can make a difference if they move across the city from their friends and activities. If you meet friends regularly at nearby places, moving out and further away could curtail these get togethers. If truly stuck on the issue of whether to sell the marital home and split the money, or have one buy the other one out, consider talking this over with a professional. A life coach can help you list the pros and cons to each outcome and come to a decision. Your friends may be able to help you see pitfalls that you missed. Clergy, trusted co-workers, or others who have trod the path of divorce before you, can impart their wisdom. Clear your mind, get centered and possibly quiet the chatter in your mind with meditation and or prayer. Making a decision in a panic can cause regrets down the road.